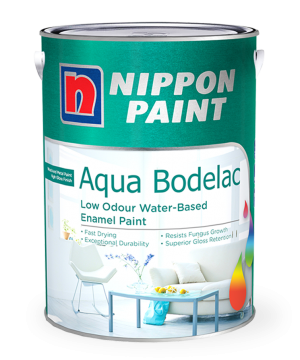 Nippon Paint Aqua Bodelac is a water-based modified acrylic gloss enamel wood and metal paint with low Volatile Organic Compound (VOC). This new breakthrough in water-based paint technology is an eco-friendly, non-toxic alternative to conventional solvent-based alkyd paint. Aqua Bodelac is ideal for interior wood and metal surfaces such as doors and window frames. 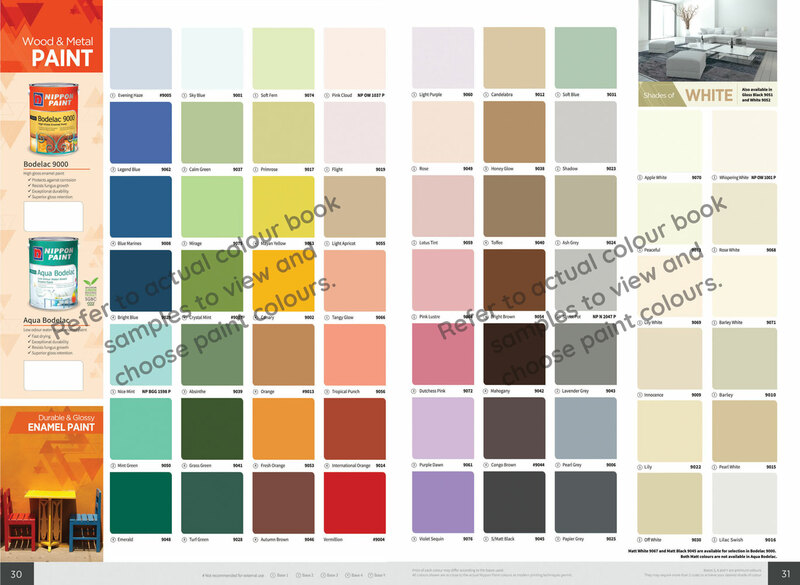 It can also be used with Aqua Primer Sealer Undercoat for trim works in various substrates like masonry, primed timber and metal. Easy to apply, quick drying, and easy wash-up with water, Aqua Bodelac is the excellent wood and metal paint for a hassle-free paint job.Low VOC: Aqua Bodelac is certified under the Singapore Green Building Product Certification Scheme for its environmentally friendly properties.Low Odour: Used with our premium interior paints such as Odour-less with near zero VOC, Aqua Bodelac completes the family of Nippon Paint environmentally friendly products.